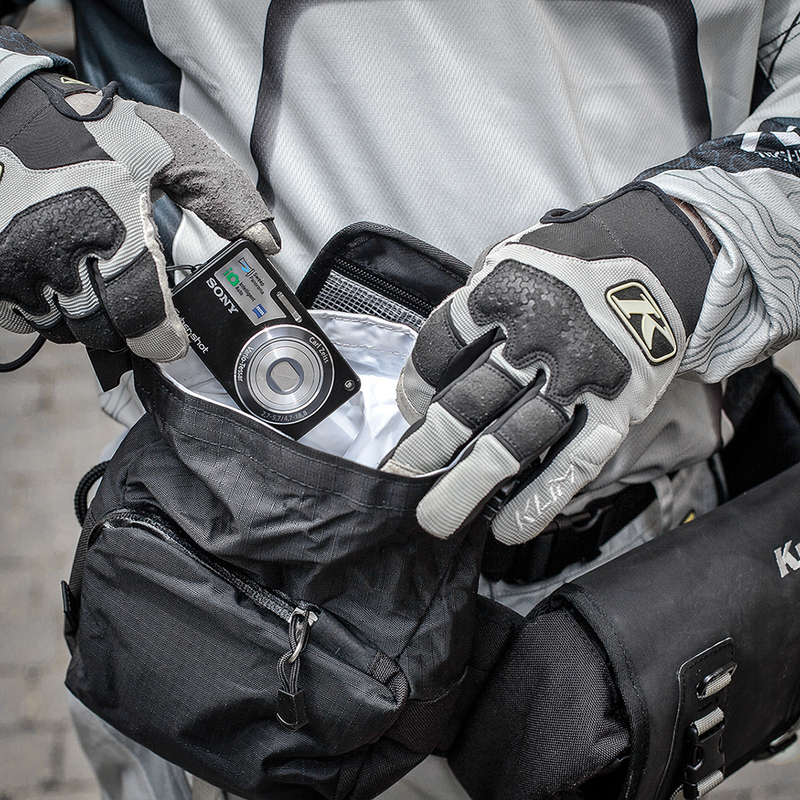 The R8 is a very practical, feature packed waist pack designed for riding trails or competition enduros, bajas or rallies. Kriega’s signature alloy belt adjuster sets the waist tension in seconds and eradicates loose strap ends giving an uncluttered design. A zipped mesh pocket in the flap is ideal storage for paperwork, passport etc. Whereas the front zipped pocket provides quick access to the removable Tool-Roll. 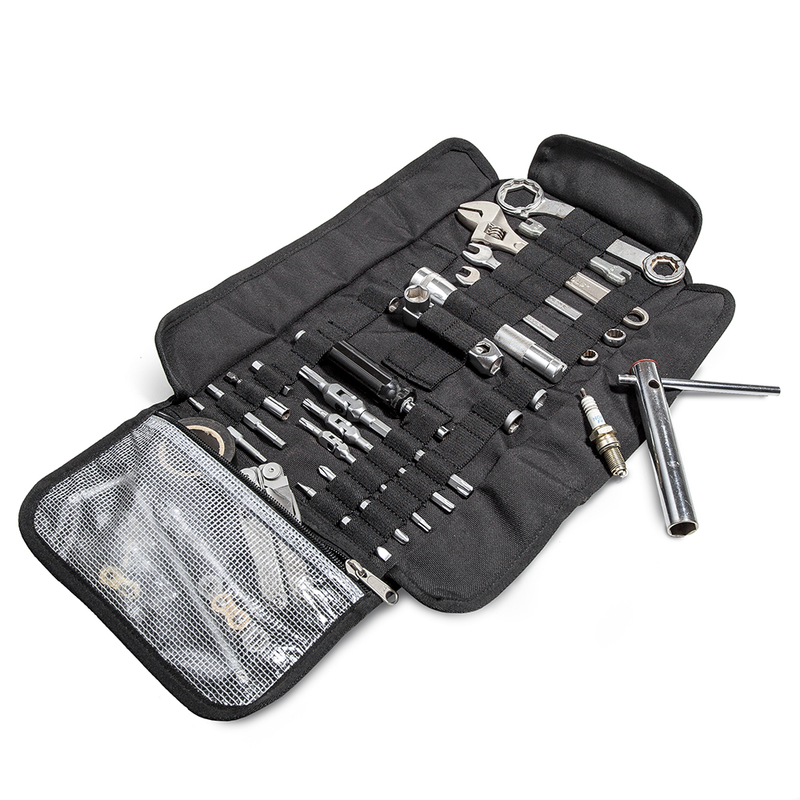 The 1000D Cordura® constructed Tool-Roll has a coated mesh pocket for small items and over 30 loops to manage your tools and spares. 1000D Cordura® on base and belt. Hypalon™ abrasion resistant front cover.